Tylenol, generically called acetaminophen, is a very popular and effective drug taken to relieve pain and reduce fever. Because it's so well known (it's been available since the 1950s) and it's so common (it's widely combined with other medications), it's sometimes used carelessly which can lead to liver damage. Tylenol is very safe when used as recommended. Many people with chronic hepatitis and other types of liver disease (who don't regularly drink alcohol) can safely take the recommended doses of Tylenol; however, you should definitely check with your physician before taking any medication if you have liver disease. For people with advanced cirrhosis (decompensated cirrhosis), Tylenol probably can't be used because of the serious existing liver damage. If you have a serious liver disease, talk to your doctor about appropriate dosing and best alternatives for treatment of pain or fevers. Why Is the Liver Affected by Tylenol? Tylenol is quickly absorbed into the blood through the gastrointestinal tract. Once in the bloodstream, it begins to relieve pain by increasing your body's overall threshold to pain and it reduces fever by helping to get rid of excess heat. Ultimately, the blood filters through the liver where most of the drug is metabolized (broken down) and its components are excreted in the urine. How Does Liver Damage From Tylenol Happen? The liver breaks down most of the drug into safe components that can be removed from the body in the urine. However, a small amount of Tylenol is expected to be metabolized into a harmful by-product called NAPQI (which stands for N-acetyl-p-benzoquinoneimine). When Tylenol is taken in recommended doses, your body can quickly remove this toxic by-product in the urine. However, when the liver needs to suddenly metabolize overdose levels of Tylenol, too much of the toxic NAPQI is made and it starts to harm the main cells of the liver (hepatocytes). Tylenol overdose can be either intentional or accidental. It is one of the most common poisonings that occur worldwide. 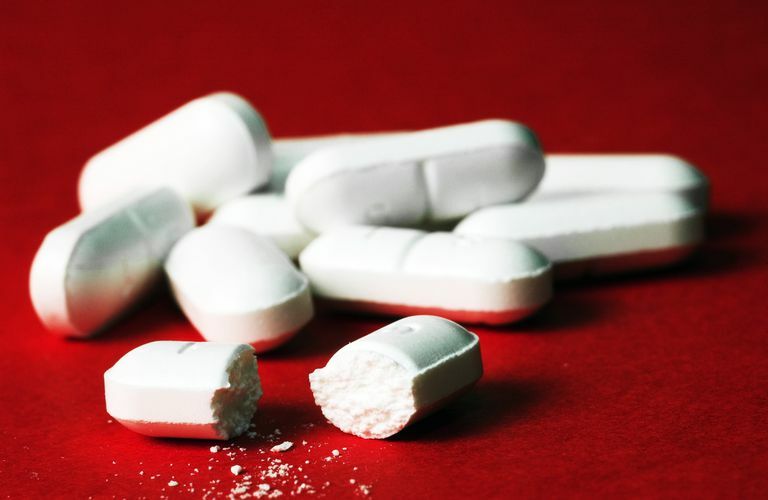 If not treated quickly, Tylenol overdose can be fatal. Of note, it may take more than 12 hours after ingestion for symptoms of Tylenol overdose to occur. Tylenol overdose is an emergency. Fortunately, an antidote for Tylenol overdose exists and is called N-acetylcysteine. This antidote is most effective when given within 8 hours of Tylenol overdose, and it can prevent liver failure. Burns MJ, Friedman SL, Larson AM. Acetaminophen Poisoning in Adults: Pathophysiology, Presentation, and Diagnosis. In: UpToDate, Basow, DS (Ed), UpToDate, Waltham, MA, 2009. Tylenol Company Website. Tylenol Frequently Asked Questions. Physicians' Desk Reference (PDR). 63rd ed. Montvale, NJ: Thomson PDR; 2009: 1915-16. How Much Alcohol Is Safe If I Have Hepatitis C?